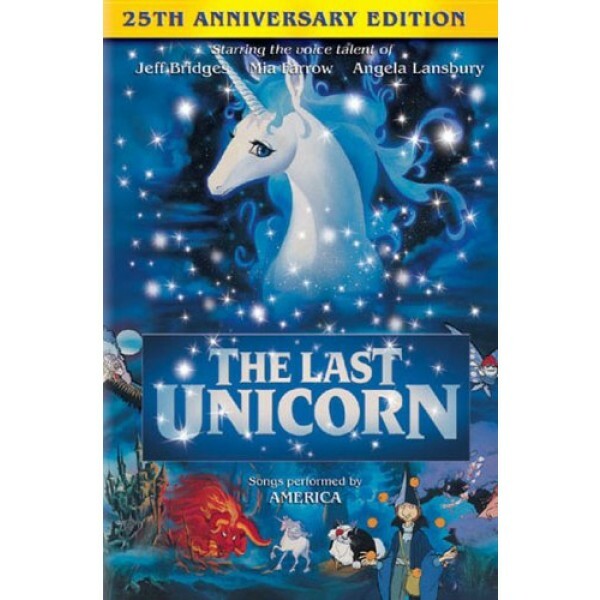 Brought to life by the luminary voice talents of Jeff Bridges, Mia Farrow, Angela Lansbury and Rene Auberjonois, this animated treasure is the story of a lonely unicorn who sets out on an extraordinary quest to find her lost brothers and sisters. Along the way she meets a colorful cast of characters, including a bumbling wizard who magically transforms her into a beautiful damsel. When a handsome prince falls in love with her, he challenges the evil foe who holds her captive. But the task proves harder than imagined, and the unicorn soon discovers that real magic comes from believing in the impossible. Featuring songs performed by America. 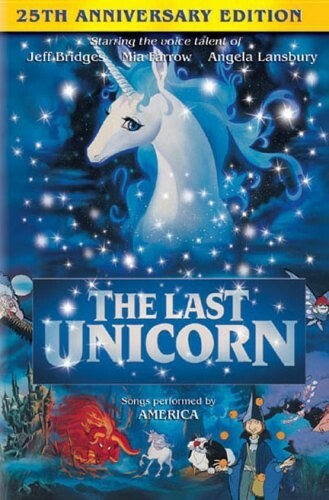 A story line that truly deserves the A-list treatment, The Last Unicorn is memorable for its attempts to stay faithful to its origins, the Peter Beagle novel of the same name. The animation is vintage Rankin/Bass, and that's too bad; but there's an undeniable strength in this tale and telling. A unicorn (Mia Farrow)--she believes herself the last--searches for any others of her kind, while avoiding the malevolent Red Bull, the agent believed to have destroyed the rest of the herd.